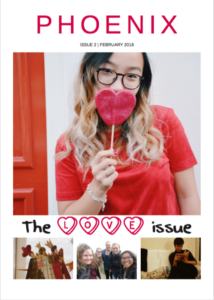 Valentine’s Day is finally here, accompanied by a brand new issue of Phoenix! With articles about love in all shapes and sizes, it fits today perfectly. Also, it contains all the Valentine’s messages that you sent at the shack, so go check out if you have a secret admirer!